Resulting from various violations of the fundamental workers’ rights such as oganising, collective bargaining and collective action (including strikes), union rights have always been at the top of the freedom agenda in the Turkish unions. The Turkish government has directly violated legal framework of the country, as well as International Labour Organisation conventions 87 and 98 as in the many cases. Starting on the 29th of January 2015 and ending a day later, the Metal workers' strike, is the third strike ban in the last 12 months and considered to be the largest one in last 20 years of Turkey (Çelik, 2015). Its suspension is to last for 60 days The Cabinet of Ministers delayed the metalworkers' strike which had covered 15 thousand members working in 42 different companies, claiming that it is prejudicial to the national security. These companies are represented by the MESS (Association of Metal Product Industrialists) group collective agreement. It is important to note that the Trade Unions and Collective Labour Agreements Act No 6356 states that a lawful strike may be suspended by the council of ministers for 60 days with a decree if it is prejudicial to the public health or national security. Therefore, the "suspension" is a ban in practice. Under the same law, an article suggests that after the suspension of the strike by council of ministers, legally it is not possible for the strike to continue. The cruel reality faced by the working class in Turkey is that banning a strike by abusing the legal framework has become the norm. Therefore, trade unions representing the collective interests of the working class are experiencing this special period where they have to make more effort to protect the basic rights of the workers. In this context, the aim of this article is to discuss the right to strike within the experience of metal workers and point out the policy of Turkish government against this basic right. Presenting a short summary of the current situation of unionisation in Turkey can help us have a clearer understanding of the importance of this strike. According to the latest published statistics of the Ministry of Labour and Social Security in 2015, there are 1 2181 000 workers covered by social security and 1 297 000 unionised workers. However, collective agreements cover only 746 000 workers (ÇalışmaveSosyalGüvenlikBakanlığı, 2015). The metal sector is one of the locomotive sectors of Turkish Industry, consisting of automotive, electronics, iron and steel sectors. It is a strategic sector which has the 7 out of first 10 and 25 out of first 50 biggest companies in Turkey according to research (Kaygısız, 2015). According to the official national statistics of 2015, there are 1 445 000 workers in this sector (ÇalışmaveSosyalGüvenlikBakanlığı, 2015). The unionisation rate of the metal sector is around 16 per cent, this means that more than 150 000 workers are benefiting from the collective agreements in the metal sector. According to Act No 6356, the collective bargaining is done at the scope of workplaces, although Turkish unions have to be organised on the basis of sectors which are again defined by the laws of the state. Nevertheless, if the workplaces are members of an employer union, it is possible to negotiate for a group collective bargaining, meaning a set of agreements are being negotiated between employers' union and trade unions in the related workplaces. Collective bargaining in the metal sector is the largest group collective agreement in Turkey. It also covers some multinational companies such as Renault, Mercedes, Siemens, Yazaki, Schneider, Alstom, Delphi Automotive, and Isuzu. Therefore, collective agreement in this sector has a major importance since it covers a large number of the workers. Moreover, it has a knock-on effect among the non-union workplaces in the metal industry as an example of a labour contract. There are 3 different trade unions in the metal sector of Turkey; Türk Metal, a member of Türk-İş (Confederation of Turkish Trade Unions), Çelik-İş, a member of Hak-İş (Confederation of Turkish Real Trade Unions) and Birleşik Metal-İş, affiliated to DİSK (Confederation of Progressive Trade Unions).MESS signed the group collective agreement with Türk Metal on December 14 in 2014, and Çelik-İş, covering approximately 65 000 workers, on December 17. Birleşik Metal-İş refused to sign this collective agreement. When the MESS and Birleşik Metal-İş could not agree on terms at the negotiating table, Birleşik Metal-İş took the decision to call for a strike on the 29th of January 2015. According to the strike organisation of the union, initially workers at 22 workplaces, in 10 cities had planned to go on strike on the day, and later joined by the other18 workplaces on February 19. The strike ban decision covers these workplaces as well. According to Act No 6356, the period of validity of a collective agreement can vary from a year to three. However in the last 30 years, collective agreements have been signed for periods of two years between MESS and the workers’ unions of the metal sector. This time MESS insisted on a three-year agreement. The Turkish economy is famous for its instability and being under the strong influence of the global finance and local political environment. These possible changes might have deep impacts on the life conditions of the workers where they would not have any opportunity to react since collective agreement will bind them for three years. During the negotiations MESS opposed to the first six month inflation rate plus 6 per cent increase as an average of 9.78 per cent wage increase for all workers. If we consider that the suggested duration of the collective agreement is 3 years, we can easily see that the gap will get worse (Özveri, 2015). In addition to the increasing inequality within workers, MESS forces the hourly wage to be 5.80 TL (Turkish Lira) for the new workers during the first year. In July, the minimum hourly wage will be 5.66 TL. As a result, a worker who starts to work in June and become a member of a union will earn less than the minimum wage after the union fee is cut (Birleşik Metal-İş). The workers will go on a strike for the demand of equal payment to equal work which is one of the most important demands of the working class struggle. Another significant demand of the workers is reducing the weekly working hours from 45 to 37.5 without wage cuts. In Turkey, wages are generally determined as a gross amount. Since there are different percentages of taxation for different income groups, most of the workers earn more net pay in the first months of the year while it gets lower due to increased taxation closer to the end of the year. As a result of this system, workers cannot see any real increase in their wages in the second half of the year. Metal workers request their employers to compensate this loss (Kaygısız, 2015). After the strike declaration, the workers voted on this decision according to the collective agreement procedures. The large majorities, even the workers who are not members of the unions such as white-collar employees, voted in favor of the strike. Workers clapped, chanted slogans and marched at the start and end of the work hours, also in their meetings calling the employer to respect the rights of the workers. In this period of preparation, 7 factories that are owned by 5 different employers have dropped out from the MESS after seeing the determination and passion of the workers and signed the collective agreements, accepting the demands of the workers. After the strike ban, workers in three workplaces occupied the factories and stopped the production. Most of the workers have started passive resistance such as slowdown. Metal workers protested against postponement of the strike in front of the governing Justice and Development Party's (AKP) buildings in more than 10 cities (se sendika.org). Working members of Birleşik Metal-İş wanted to go on a strike because of the low wages, "an unfair increase on workers' salaries" and vulnerable employment relations that are tried to be forced upon them by MESS; even though the other two trade unions have accepted these poor conditions by signing the collective agreement. Maybe one of the main differences lie within the organisational structures of these three metal unions: the strike decision and preparation of Birleşik Metal-İş were conducted with the consent of member workers at every step; unlike the other two trade unions. In a period where even the right to strike is made practically impossible, workers in Turkey have to struggle to be able to use their basic rights. This strike showed that even though government and the employer’s union might use all their power and legal tools to break down the will of the workers, when the workers are motivated and take the decisions collectively they can succeed. The dropouts from the MESS and examples of factory occupations are the examples proving that legal sanctions are not enough to silence the righteous voice of the workers. 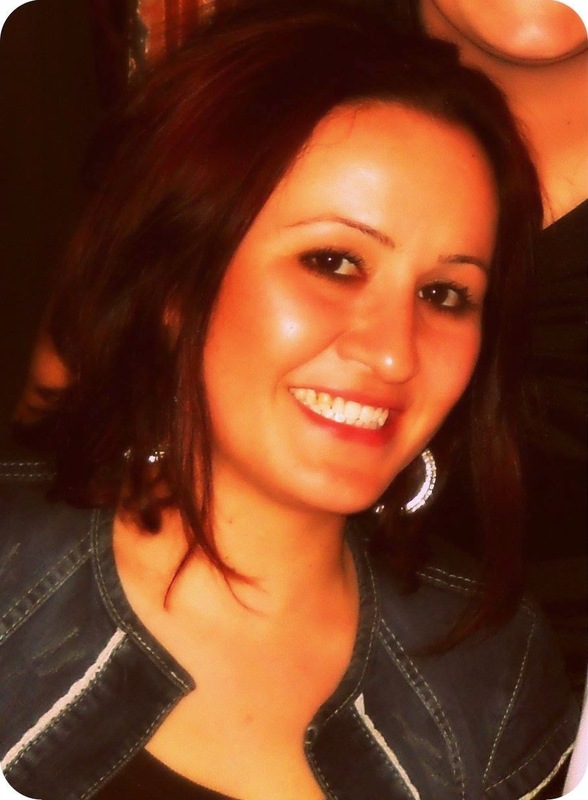 Bilge Çoban is currently studying as a postgraduate in GLU program at UNICAMP in Brazil. She was a Sosyal-İş (Social Work Union) Execute Board Member of İstanbul Branch' and member of Progressive Workers' Union(DISK) women commission in Turkey. Muzaffer Ekin Şişli is currently studying as a postgraduate in GLU program at UNICAMP in Brazil. He was a worker in non-profit sector and a member of Sosyal-İş (Social Work Union) in Turkey. Çelik, A. (2015) ‘The Right to Strike only Exists on Paper in Turkey,’ Equal Times, 4.02.2015. Trouble ahead in Portugal, still?